Connections and friendships are formed at BISB that last a lifetime. We created an official group to bring all all BISB alumni together and create a lifelong connection between the school and our alumni through professional networking opportunities. Since its opening in 1997, the British International School Bratislava educated many students, who have shared the unique experience of student life at BISB. Connections and friendships are formed at BISB that last a lifetime and our alumni are proud ambassadors of our school who speak with great affection about their time in Bratislava. We are really proud of what our students all achieve. We are really proud of what our current, but also former students have achieved. Here are the stories of some of our succesful alumni. 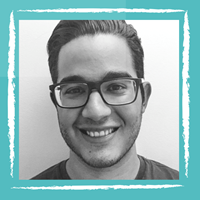 After attending BISB for 9 years, Gianmarco graduated in 2011 and moved to the UK to obtain his BSc in Biomedical Sciences at the University of Brighton and subsequently his MSc in Infection and Immunity from University College London. During his studies he became interested in microbiology work, which has led him to complete his university research projects in the field of antibiotic and antimicrobial resistance. After he finished his MSc, in order to further gain experience, Gianmarco continued his collaboration with UCL by working on his research project that he began as a student. The results obtained have earned him and his colleagues a publication on a scientific journal. After his university days, Gianmarco decided to switch from academic work to industry and is now working for pharmaceutical giant GlaxoSmithKline as a Quality Control Microbiologist. 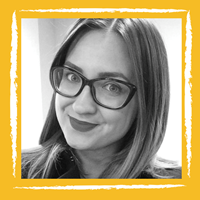 After Kristina graduated from De Montfort University with a Bachelor degree in Marketing Management in 2011, she moved to London to start her career in marketing. She was offered a job with ICLP, a leading loyalty marketing agency, where she continues to work with a wide range of clients including Mastercard, Intel, Vodafone and Hackett. Her role covers everything from managing data and tech development to strategy, communications and creative projects, providing an ever-changing environment for her to keep learning. During her time at university, Kristina started a blog showcasing the cakes she was baking and in 2014 this turned into her first business - Cakes by KB. She continues to get orders both from friends and through referrals, baking everything from birthday and wedding cakes to cupcakes for corporate events. To counteract all the cakes she's surrounded by, she started doing Crossfit and in 2016 became the social media manager for Crossfit Aldgate, where she had been training for the past two years. She's looking forward to her upcoming Crossfit competitions, cake orders and all the opportunities and challenges her job brings every day. Soon after graduating BISB in 2013, Kwanbo left Slovakia and moved to Belgium to continue his studies at Howest university, attending to Digital Arts and Entertainment learning game graphics. As the last course for his studies, Kwanbo made an internship in an indie game company called Exiin located in Brussels as a 3d artist. After graduating with Bachelor degree of game graphics, he decided to continue working at Exiin, and is now officially working as a 3d artist, creating 3d characters and environmental props for the new project, Ary and the Secret of Seasons. 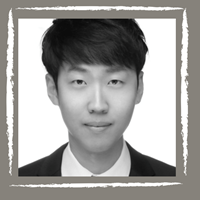 After finishing his studies at BISB in 2010, Heewoo went to Korea Advanced Institute of Technology(KAIST) to continue his education with a full scholarship. He graduated with a dual degree in Computer Science and Business & Technology Management. During his studies, he had wonderful opportunities to join startup firms in mobile and VR fields, such as IAMCOMPANY Inc. and bHaptics Co., Ltd. 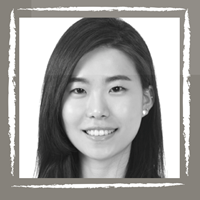 Currently Heewoo works as a software engineer at Semiconductor R&D Center in Samsung Electronics. 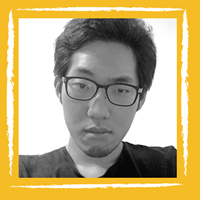 His current research interest is artificial intelligence, more specifically, deep learning. He expects to pursue his career in the computing field as a member of the global company. After studying at BISB for 6 years, SeoYeon graduated in 2011 and went to the University of Hong Kong to pursue Bachelor’s degree in Industrial Engineering. Hong Kong was a vibrant and international city full of opportunities and fun. During her university life, she co-founded ‘HKU ASA Toastmasters Club’ where professors, alumni, and students were brought together to share their experience by giving speeches. Apart from university, Seo Yeon went through internship at AIA, and also joined local voluntary activities to expose herself into different situations. She is now working in LG Display, one of the world’s leading display manufacturers which she newly joined in 2016. As an Engineering Program Manager in LG Display, she is participating in developing displays for popular mobile phones. She finds it very rewarding to witness the products rolling into the market and wishes to continue building up her career in this industry. One of the great things about going to a Nord Anglia Education school is that you don’t just have friends in your school, you have friends all over the world. Every student is part of our global network of over 39,000 students, and we think that being part of this community shouldn’t stop when you graduate. 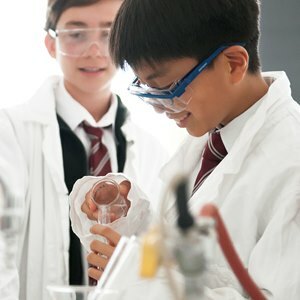 Nord Anglia Education has launched an alumni network to help you keep in touch with each other, reconnect with old friends and make new international contacts along the way. The dedicated LinkedIn group allows you to catch up and share news, ideas and experiences, as well as finding out about upcoming alumni events for your school. 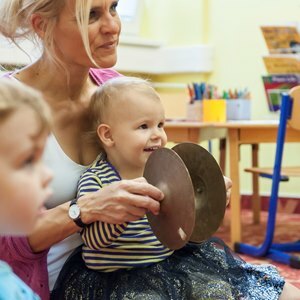 The not-for-profit community is a good way to find out useful information and discuss further education, gap years and careers, or get updates on market trends. There is also a dedicated area to post vacancies so you might even find a job you like or find the right candidate if you’re recruiting one day! Take a chance to experience the school “in action” and feel the real atmosphere.